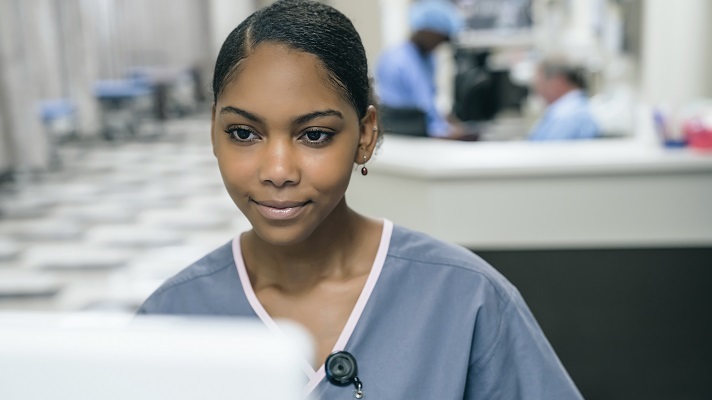 Nurses and other healthcare providers need to learn and train constantly – quickly understanding the latest medical procedures and processing new information and regulations. As a result, the organizations tasked with the professional development of medical professionals are under significant pressure to constantly update and evolve their training materials and processes. At the American Nurses Association, a professional association and credentialing organization serving America's 4 million registered nurses, educational products were delivered through multiple systems and there was no unified approach to the design and development of educational products. Many products were designed with little to no interactivity for the learner. So the ANA combined the work of multiple existing information systems into one learning management system, D2L's Brightspace, and leveraged the capabilities of the new system to create customization designed to promote a positive learning experience. "We were able to streamline approaches to content delivery and create a single point of contact for our customers," said Karen Somerville, vice president and general manager of products and services at the American Nurses Association. "We also adopted a model, IGNITE, to drive the design and redesign of our educational products to promote evidence-based practices for learning, rooted in brain-based science." There are many learning management systems on the market today that can be used by health systems to design and serve educational offerings. Vendors include 360Learning LMS, Absorb Software, Adobe Captivate Prime, Docebo, iSpring Learn, Kallidus Learn, Litmos LMS, Looop, Mindflash Technologies, TalentLMS and Thought Industries. Once launched, ANA staff customized the learning management system to provide an optimal experience for association learners. "Our marketing team customized the system display that helps promote an aesthetically pleasing and easy-to-navigate environment for our learners," Somerville explained. "At the same time, our content team was redesigning how the online educational products were presented in the learning management system, creating interactions within the content designed to engage learners and promote optimal retention of knowledge." "Don't be afraid to go against the tide with technology and education – creativity often leads to best practices in online learning." Hundreds of courses were rebuilt and migrated into the new platform and all of this was accomplished in just six weeks, she added. The learning management system is integrated with the ANA membership database and the association's e-commerce platform. These integrations permit the ANA to capture essential data, including a single-entry portal for customers enrolling in educational products, thereby enabling the organization to consolidate many customer records into a single, centralized database. "Expanded capabilities of the commerce platform will also permit us to recommend products to customers based on interests or prior purchase history, thereby establishing connection to customers," she said. As a result of using the learning management system, the ANA has expanded its reach to more than 25,000 learners in the first three years the system has been live through more than 350 courses available. "The integrated system has enabled us to drive customers to one portal of purchase/entry, thereby exposing customers to the wealth and diversity of products being available from ANA," Somerville said. "Through this integrated and unified approach, we have been able to promote the full ANA enterprise resources." "Contemporary educational design provides learners with interactive content to engage, and immerses them in the content, further promoting retention of knowledge," she said. "Don't be afraid to go against the tide with technology and education – creativity often leads to best practices in online learning." Maintaining current knowledge in healthcare is challenging – but organizations can streamline systems to optimize outcomes, she concluded.